ATLANTA, USA -- Health officials are bracing for the possibility of a measles outbreak in the USA, fueled by unvaccinated American tourists returning home from this summer's Olympic Games. 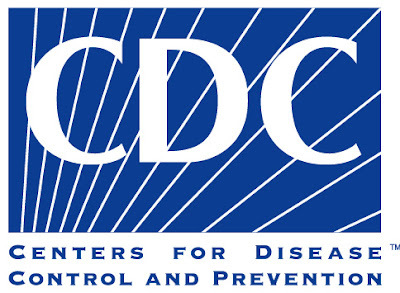 The Centers for Disease Control and Prevention warns that the Olympics in London, as well as the Euro 2012 soccer cup in Poland and Ukraine, will be huge draws for American travelers and will increase the risk for measles infection. The virus is much more prevalent in Europe, leading to eight deaths and 26,000 illnesses last year. "Disease knows no borders," said Rebecca Martin, director of the CDC's Global Immunization Division. "We are concerned about Americans coming back from the Olympics this summer and unknowingly infecting others." The Olympics in London starts July 27 and the Euro 2012 soccer cup on June 8 in Poland and Ukraine. Martin urges Americans who plan to travel this summer to be up-to-date on measles vaccinations. Measles infections have been on the rise in the U.S. even though vaccinations eliminated the routine spread of the disease here in 2000. Most U.S. cases of the measles are imported by U.S. travelers who have not been vaccinated. Before routine vaccinations, the virus killed between 3,000 and 5,000 Americans each year. "We usually have about 50 cases a year, but last year we had a record number of importations" — at least 214 cases — says Greg Wallace, a measles specialist with the CDC's division of viral diseases. About 30% of those cases required hospitalization. -Children should get two doses of the Measles, Mumps and Rubella (MMR) vaccine. The first at 12-15 months, the second at 4-6 years. -Any adult who hasn't been vaccinated for measles. -People who have been exposed to measles but weren't vaccinated may benefit from getting the MMR vaccine prophylactically. Consult your health care professional. Who shouldn't get the measles vaccine? -People who have had a life-threatening allergic reaction to gelatin, the antibiotic neomycin or a previous dose of MMR vaccine. -Women should avoid getting pregnant for four weeks after getting the MMR vaccine. -Pregnant women should wait until after they have given birth before getting the MMR vaccine. -Those with HIV/AIDS or another disease that affects the immune system. -People being treated with drugs that affect the immune system, such as steroids, for two weeks or longer. -People who have had a low platelet count (a blood disorder). Last year, England and Wales had 1,086 cases of measles, according to the U.K. Health Protection Agency. "Ukraine is experiencing a large measles outbreak right now," Martin says. Measles strikes worldwide but is of special concern in Western Europe, Wallace says. The disease had been under control there until a 1998 paper in the British medical journal The Lancet purported a link between autism and the measles, mumps and rubella vaccine. It also said the vaccine caused gastrointestinal disorders in children. Vaccination rates fell after the paper gained widespread publicity. It was later revealed that Andrew Wakefield, the main author, had faked his research. The paper was retracted in 2010, and Wakefield was banned from practicing medicine. Vaccination rates are again rising in Europe, but in England and France they remain too low to fully control the disease. The CDC, which is part of a global effort called the Measles Initiative to fight the disease, maintains a Web page for Americans going overseas at cdc.gov/travel. Many U.S. parents who chose not to vaccinate rely on "herd immunity," the protection against infection offered by vaccination rates of 95% of higher. But with so many Americans traveling overseas, you can be exposed anywhere. In California, three children under a year old, too young to be vaccinated, were infected in a doctor's waiting room when a 7-year-old who had caught measles in Switzerland came in to be seen, says Kathleen Harriman, an epidemiologist with the state Department of Public Health. In 2011, 214 people in the United States got the measles and 68 were hospitalized. All travelers' packing lists should include "passports and immunization records," says Erika Jenssen, the director of communicable disease outbreaks in Contra Costa County, a suburban county east of San Francisco. You can be vaccinated at any age. "It's the most serious and critical thing you can do, both to make sure you're protected while you're there and so that you don't bring it back home."